This Presentation date is August 20, 2015 at 8:00 - 10:00 local time. Ananda Rajagopal, VP of Product Line Management, introduces Gigamon and gives and overview of their productions and solutions. Ananda Rajagopal, VP of Product Line Management, introduces the new Gigamon GigaSECURE solution and gives an overview of how it works in a network environment. Patrick Riley, Product Manager, discusses how to use Giagmon’s GigaSECURE solution as an inline bypass to deploy security in a network. Noam Syrkin, Senior Technical Marketing Engineer, demonstrates the Gigamon GigaSECURE solution and describes the operation and features of the user interface. 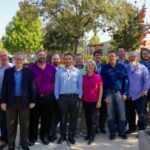 Eric Costlan, Technical Marketing Engineer with Cisco, discusses the Gigamon GigaSECURE integration with Cisco Sourcfire and the benefits of using these two products together.